I spotted these face packs during a shopping trip. 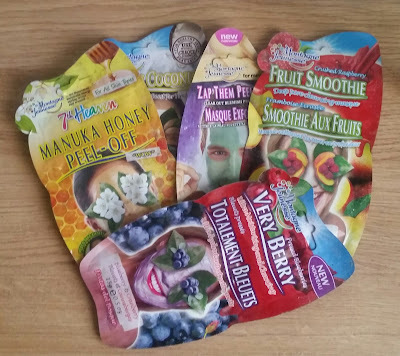 I was really impressed as i picked up and scanned through every packet at just how much choice there was and there was one suited for every skin type! These masks are also cruelty free and help your skin with any problem you might be experiencing. Reasonably priced at 99p these are a great buy especially if you are on a budget and deserve some TLC. Read on to find out about the ones i tried and tested. 1. 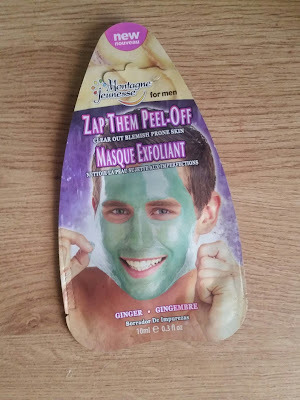 ZAP THEM PEEL-OFF MASQUE. away dirt and grime for cleaner, clearer skin. 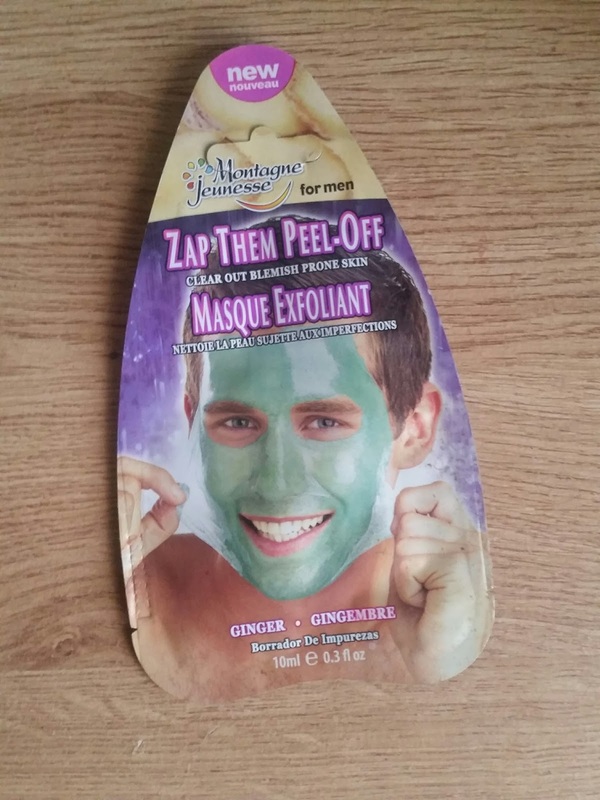 The masque went on really easily and smoothly and dried in an instant. 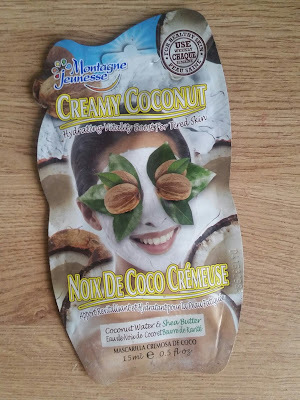 I could feel this mask getting to work on my skin and helping unclog those pesky pores. When it came time to peel off this was really easy to achieve and wasn't harsh at all. My skin felt really fresh and clean. using and preparing the skin before you use any acne treatment. 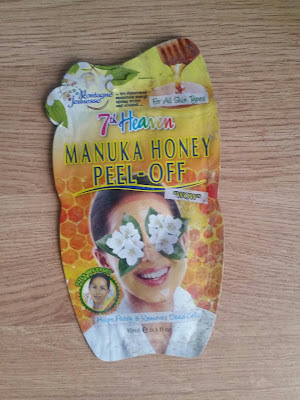 This smelt really yummy when applied and being a mask it applied smoothly and dried quite quick. I could feel my skin drink this up being down to those lovely ingredients and the Shea butter. It washed off really easy and my skin felt super moisturised! Like i had slept all night with a thick creamy moisturiser on my face. This is really good if your looking for a treatment that will put back and restore moisture. to leave you in a smiley mood - with fresher, cleansed and softer skin. Cleanse skin, Apply, Wait 10-15 mins and then rinse. This really is a fruit Tropicana which smells delicious! cleansing masque you can feel this mask working its magic deep down into those pores. My face felt really cleansed and had that awake look. They source it and we add the flower nutrients of fragrant jasmine in our face mask. This applies really easily and dries really quick which means less mess! This is for all skin types and helps purify and remove dead skin cells. it was time to wash it off ! My skin felt so soft and did look more awake and smooth. Bursting with the juice of pressed Blueberries and crushed Cranberries our fruity beauty is packed with antioxidants. Nourishing Peach, Kernel oil and soothing Aloe will leave your skin refreshed and cleansed. Cleanse, Apply, Wait 10-15 mins, Rinse. 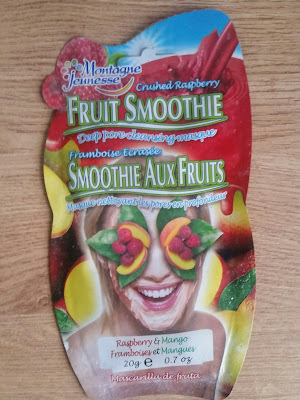 This is a fruity galore experience at its best! The smell is really delicious and yummy! Applies really smoothly and dries in an instant. After washing off, my skin felt super cleansed but also really moisturised and awake. This would suit if you have been having late nights and your looking for some extra moisture into your skin. I really like Montagne Jeunesse face packs. 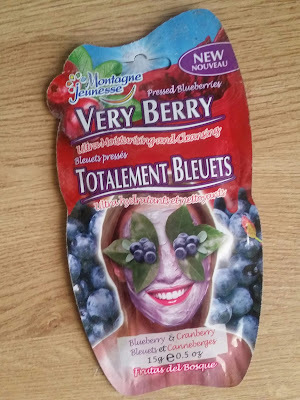 These are really quite good to suit any occasion whether that being some alone time or having a face pack party. There packaging is really fun but also really clear on what face pack would suit your skin type so there face packs cater for everyone! they are filled with a lot of product so you are getting the best value for your money! So if your looking for a face mask be sure to check Montagne Jeunesse out. Have you tried these? Whats your Favourite one? Feel free to comment to let me know.